A franchise is a great idea if you’re interested in selling Big Macs. Shaved Ice? Not so much. 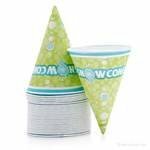 Any hard-working person can easily open a successful shaved ice and snow cone operation without franchising. 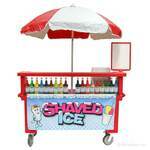 1-800-Shaved-Ice does not sell franchises, nor do we require contractual agreements to purchase our products. There are no special fees, no limited territories, and no inflated prices. You may buy directly from us and sell under any name you choose – even Hawaiian Shaved Ice, the most common name used. By owning your business independently, you have better control over your prices, product line, and business management. 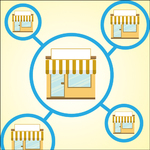 Oftentimes, franchisers only allow franchisees to sell certain products or require them to sell in certain locations. They include yearly franchise fees or even swipe a percentage of sales. Along with this, you must purchase their products at inflated prices. In the end, they’re profiting more off your customers than you are. On the contrary, some entrepreneurs would prefer the comfort of a franchise. It would reduce some stress in decision-making because the decisions are made for you. It’s solely your choice regarding the direction you want to go. We’re offering Shaved Ice University as a courtesy to you. We sell nearly everything you need to start your business and can help you every step of the way – for FREE. Whether you purchase your products from us or not, we want you to be successful…without splitting your profits.